In the Huskie Tracks newsletter that went out right before spring break, Friday May 24 was inadvertently indicated as a ‘no school’ day and, alas, we DO in fact have a full day of school on that Friday as indicated on the District calendar. Sincere apologies for any confusion! Please review our revised April/May calendar. There are some other recent changes to dates and details in the coming weeks, so please look this over carefully and coordinate with your family’s calendar so you don’t miss any 4th quarter fun. Graduation is ever so close for the Class of 2019!! This last quarter of senior year is filled with dates and details and things to know – get out your planner and coordinate with our final senior calendar. This calendar is also mailed to all senior households in early April – post it someplace prominent in your home so no detail gets missed. NOTE: There have been some changes from previous published calendars so please look over the dates carefully! The calendar linked above is definitive. Grad Bash tickets are on sale Friday April 19 ,Thursday April 25 and Friday April 26 for $100 in the Lower Commons during all lunch periods. For forms and details, visit their website here. NOTE that the LAST day to register and pay for Grad Bash is April 26 – this is a hard deadline! Tickets will NOT be available in May, so do not procrastinate!! News from PPS: As we approach the completion of the new North Middle School construction and get ready for the school to open in the fall, you can anticipate new traffic patterns around the schools after spring break and through the summer. We will begin staging for the demolition of the current North Middle School (starting as soon as school is out for the summer), and the construction of a parking lot to support the new building. We will also begin preparing the site for construction of the new Portage Northern Natatorium which will begin September. In addition, the City of Portage has two road improvement projects involving Idaho St. and Milham Rd. The Idaho construction project will be extensive and will close this street starting late April 2019. The Milham project is less extensive, and will not be closed but will impact traffic flow in and around our campus at times. WWMT posted a news article about this on Monday April 8. Construction on Idaho will begin at the end of April. 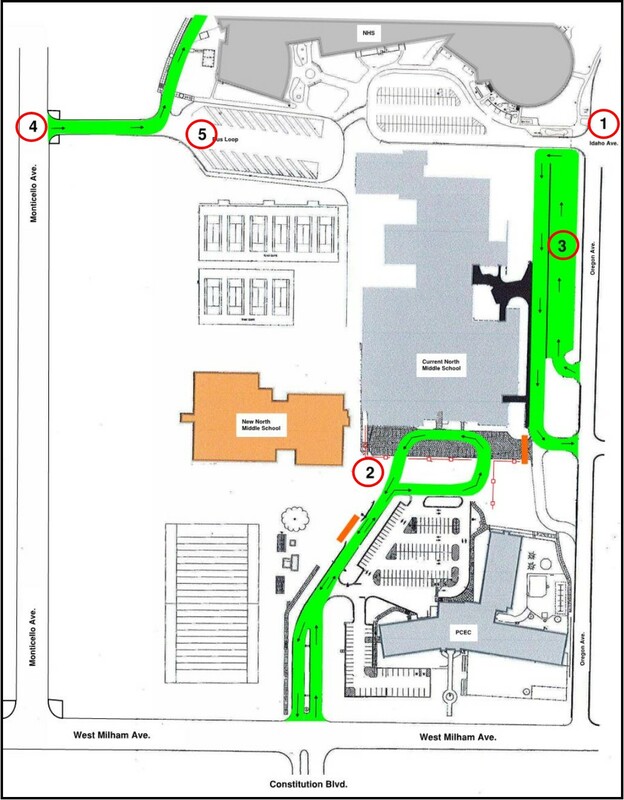 This road will be closed to all traffic during the construction, limiting access to our campus from the east. Access to PNHS will only be available via Oregon or Monticello, both off Milham Ave. We anticipate this will be the case throughout the summer. New middle school drop off loop at Milham and Constitution is now open. We encourage all middle school parents to drop their students off using this loop. The current middle school drop off loop is now NMS staff parking, and is available only if you need to drop something to your student or pick them up for an appointment during the school day. All high school students who drive to school should be entering the school parking lot via Monticello St. This will alleviate congestion on Idaho for parents who are dropping high school student at the current Northern High School loop. The bus loop configuration will remain unchanged. Demolition of the old North Middle School and staging for the new natatorium will begin. This will limit access to Oregon. We will direct all High School traffic to enter from Monticello and park in the student parking at the back of the school. 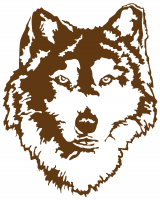 The newest issue of our Huskie Tracks is available and filled with all the April news, dates and details. If you have any questions, please contact Brenda Marsh, our communications coordinator. The world of work requires a standard of dress, and so much schools. Find ours here. Portage Northern reserves the right to make adjustments on proper attire and appearance during the course of the school year. No dress code can itemize every item of dress that is unacceptable for school. We ask students to use common sense, have an attitude of cooperation, a concern for modesty and a realization that some clothing is not appropriate for the school setting. In conjunction with parent-teacher conferences, Principal French led a College Board and Khan Academy session on Monday March 11, including PSAT/SAT score reports interpretation, online test prep resources and individualized test prep. If you were unable to attend the March 11 presentation by Principal Jim French, find the slides here. If you have further questions, please contact our counseling office at 323-5475. If your student needs to arrive late, leave early, is going to be away from school for just a few minutes or will be gone all day, thanks for keeping us in the loop. You may either call your attendance office OR send a note with your student. For more details and FAQs about attendance, visit our Attendance page or our Student Handbook. Have you seen the personalized legacy bricks at Huskie Field and Huskie Stadium? You can still purchase your own brick for installation at either location. New bricks ordered will be installed in the spring or fall following the order deadline for that season’s installation. The next installation available is spring of 2019 and those bricks can be ordered at pnbricksale.com. Stay in the Huskie Loop! If you’re a parent or student who likes to know what’s going on around here, you’ll want to opt-in to receive our daily announcements. You’ll get the same information that is presented daily in the building, delivered right to your inbox every morning. Just click on this link: portageps.org/parents/email or contact Brenda Marsh. Are you on Facebook? Did you know we have our own Page where you can get updates, news etc right in your news feed? Like us on Facebook and follow us on Twitter @PortageNorthern. If a student has been added to the roster of a sports team, musical cast/crew or other activity, there may be Pay-to-Participate fees that are due. View the Pay-to-Participate information and worksheet for complete details. Additionally, here are instructions to pay athletic or activity fees via Skyward. If you’d like to see our daily menus, nutritional information or add money to your student’s account, visit the PPS Food Services page. Here is a direct link to Skyward Family Access. Students login with their firstname. lastname that matches their PPS email and their network password. If your student does not know or does not remember their password, they can check in at their grade office or see Brenda Marsh in the 3rd floor offices. 1. Make sure your email is on file and up to date with your school. This should have been included with your enrollment information. 2. Navigate to skyward.portageps.org to access the log in screen. 3. Click on the “Forgot Password” link, which is just underneath the ‘Sign In’ button. 4. Enter the email you have on file with your school and click “submit”. ​5. You will receive a link in your email inbox with a Login ID and instructions to reset your password. If you have other questions about Skyward, please contact Brenda Marsh by email or call 323-5466.